The Wild Bobby Brand has a variety of products that are suitable for any time. Are you proud to be an American? Show it with one of The Wild Bobby Brand shirts. This selection of shirts emphasizes the pride and joy that is associated with the ideal American life. Spread your passion and express yourself with a shirt from Wild Bobby Brand. Choose from multiple shirts, materials, fabrics and designs, these shirts are comfortable and long lasting. Wild Bobby is dedicated to creating novelty shirts that come in a variety of themes and colors. Their products spread joy and humor to all while providing comfort in the quality of their products. All shirts are made and printed here in the US. Recommended care for shirts is to wash in cold water inside out. There is often a variety of products from hoodies, crewnecks, men’s women’s and youth sizes and come in a range of colors. We love what we do at Wild Bobby, We press and ship each shirt in the US, We are passionate about creating new and eye catching designs, selecting the best types of shirts and fabrics and fusing the 2 together to create a quality shirt that you can be proud to wear! At Wild Bobby we care about you. We ship as fast as we can which is usually the same day. Wild Bobby is the brand that works around the clock to bring you the latest greatest graphics, trends, hot topics, on fashionable styles. Items for sale are not affiliated with or endorsed by any celebrities or public figures, is not associated with any existing intellectual property or trademark, and no infringement is intended and no endorsement is implied. All designs posted are believed to be posted within our rights according to the U.S. Copyright Fair Use Act. All rights reserved. 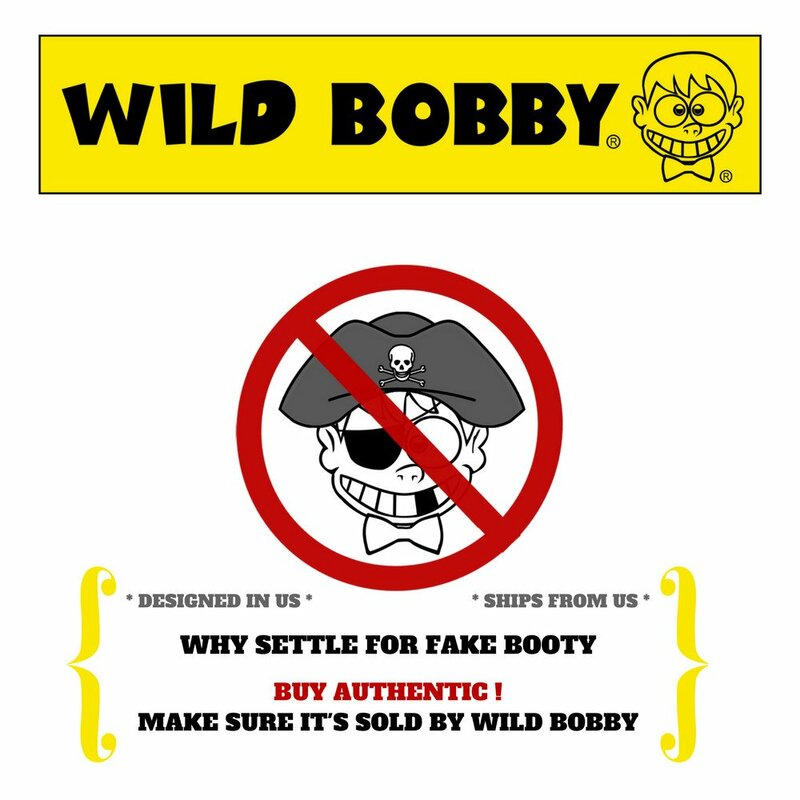 Wild Bobby is the ONLY authorized seller of Wild Bobby brand items. These items and designs are produced EXCLUSIVELY for sale by Wild Bobby. 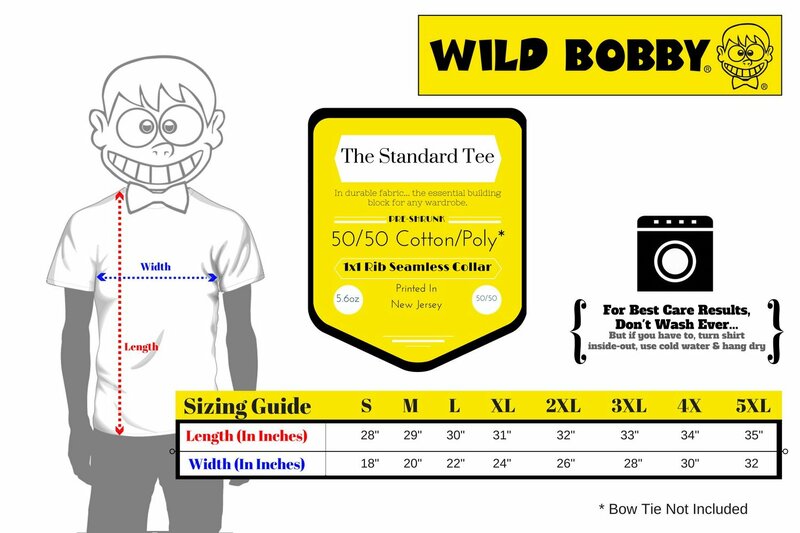 Shirt Size and Color Guide: We Created a Unique Sizing Chart Just for Wild Bobby Shirts, Make Sure To Reference Our Size Chart To Help Make Sure Your Pick the Size That is Just Right for You! Keep in mind this is our size chart not to be confused with the one Amazon offers. It’s different! We Do Our Best To Represent Each Color As Accurately As Possible but Colors May Appear Different on Each Screen. Authentic Wild Bobby: We Take Extreme Care When We Create Your Shirt. We print using the best techniques out there. We Ship each product from right here in the good old USA. We Stand Behind Our Shirts! Make Sure To Verify That You Received the Wild Bobby Authenticity Tags When Your New Shirt Arrives! When making your purchase make sure the seller is Wild Bobby we don’t want you returning the shirt you got from another seller to us. You won’t want it, we don’t want it either!